Achieve delicious food, done any way you like. 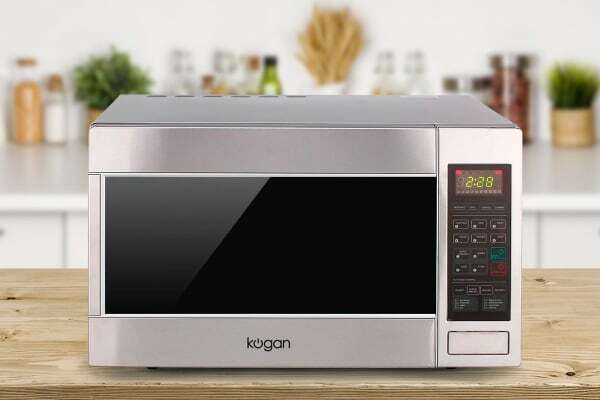 The stylish Kogan 28L Stainless Steel Convection Microwave Oven with Grill is the easiest and most diverse way to cook all your food. 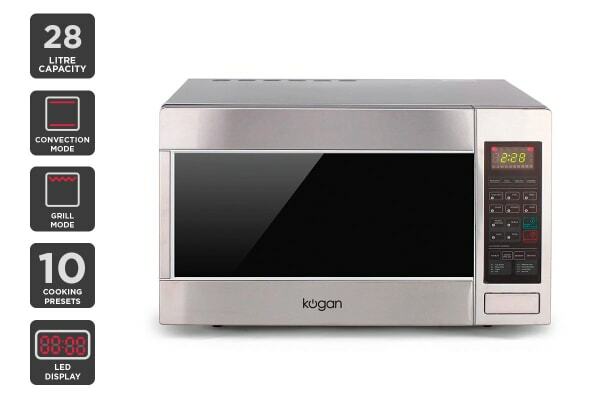 Featuring a sleek, stainless steel finish, 28L capacity and three incredibly useful cooking functions, this appliance will soon become your favourite. Using the convection function, you can cook foods through, with the food’s exterior crisping and browning as it would in a traditional oven. This is great for cooking pies, roast dinners and brownies. The grill provides a lighter alternative to frying, with a delicious taste. Perfect for everything from burgers to grilled cheese sandwiches. 10 preset cooking settings allow you to select the food you want to cook, and the unit will automatically choose the correct amount of time, on the correct setting. Dish up golden, crisp food faster without experiencing ‘hot spots’ thanks to the constant cycle of hot air. Cook delicious meat, fish, kebabs, or vegetables with the Grill Mode. LED display for maximum visibility. 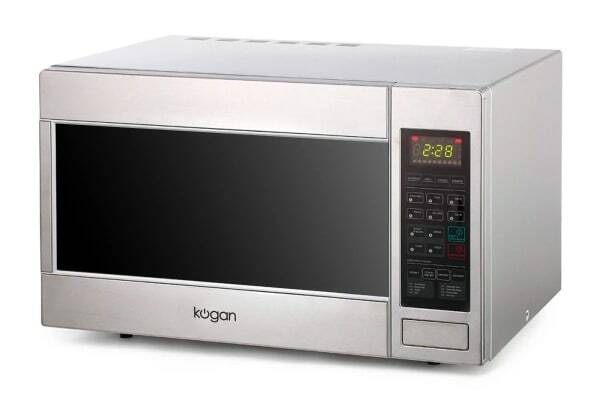 Convection, griller, Microwave is easy to operate and so far has performed very well. Does everything I need. Very happy.